Is it just us, or do you need more stuff in the summer? We always thought winter was the accessory-heavy season, but with sunglasses, sun cream, hat, water bottle, waterproof coat and umbrella (because this is Britain, after all), and all the other things you need for a fun-packed sunny day out, it's easy to get weighed down. Fortunately we know of a bag maker who can help you shift your kit, while keeping cool and looking slick. 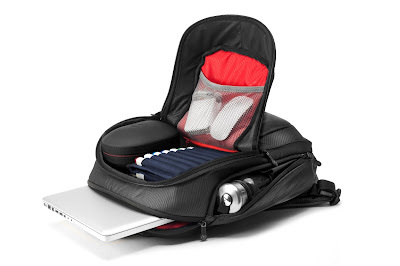 We test the Booq Taipan Shock Backpack. 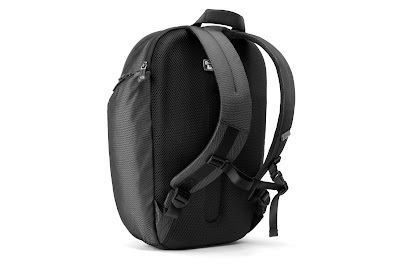 Not just for cyclists and school kids, backpacks are much better for your spine and help keep your hands free. 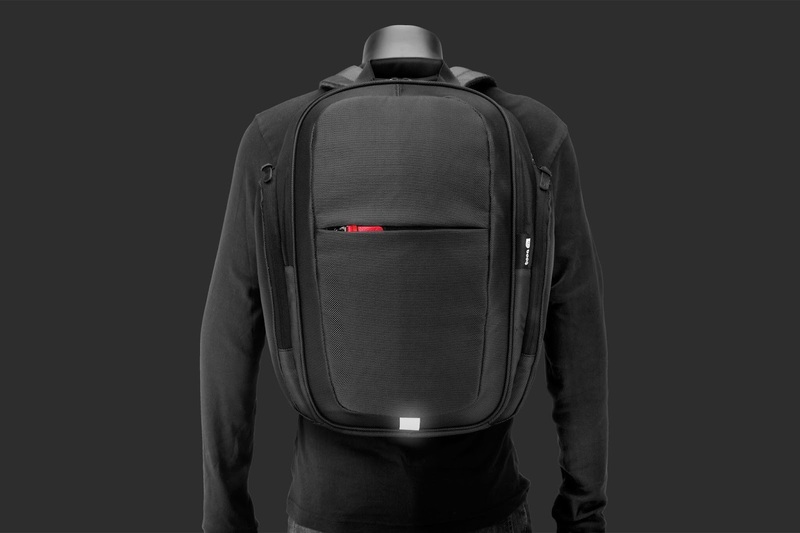 In our continuing quest to find the best backpack currently available, we're 'back' (tee hee) once more with an old favourite; Booq. 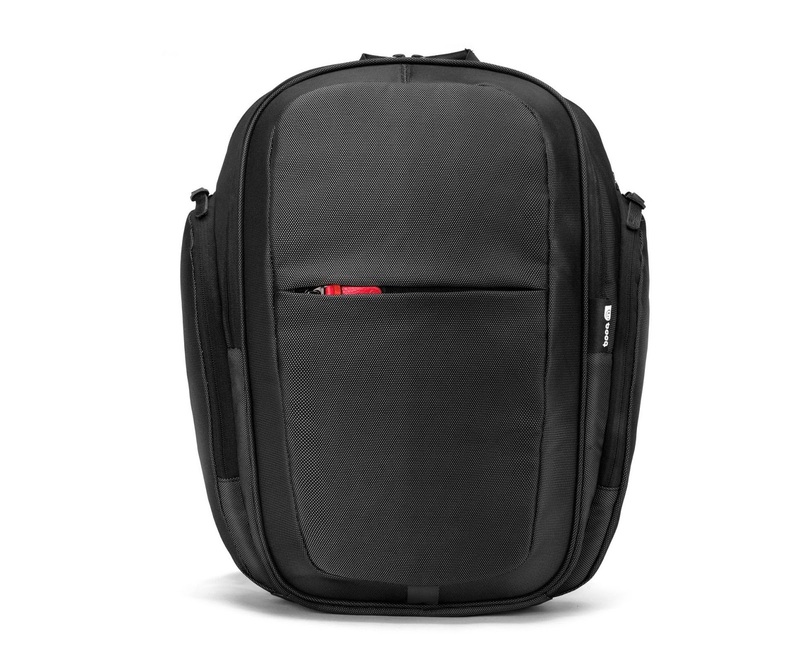 The bags we've previously reviewed from Booq have been awesome, both in capacity and build quality... and the Taipan Shock is no exception. Similar in size to the Boa Shift, the Booq Taipan Shock Backpack is a tightly designed package with a surprising amount space inside. The outer material is a tough 1680D polyester, while the section that rests against the back is a soft mesh padding. Handy in the summer, this allows air to get in between you and the bag, keeping you cool. It is also extremely comfortable, even with a full load - helped in no small way by the padded shoulder straps and chest clip (making it great for cyclists). The bag itself features two main compartments. Pushed up against the wearer's back is a heavily padded pocket designed solely for laptops. Anything up to a 16.4" laptop can slide in there, with Booq very keen to push the fact that it snugly fits the 15" Macbook. In front of that, in the largest compartment, you'll find enough room to safely stow everything you might need. There are sleeves for documents, books, and folders, a mesh compartment for little fiddly bits of tech like mice and power cables, as well as the classic (but always bloody useful) pen loops. On the sides of the bag there are zip-down pockets perfect for sunglasses, bike locks and bottles (especially on the left, which features a fold-out mesh so you can carry a bottle bigger than the actual pocket), while on the very front is another quick-grab pocket for your phone, wallet, tickets, or even a tablet no bigger than 7 inches. 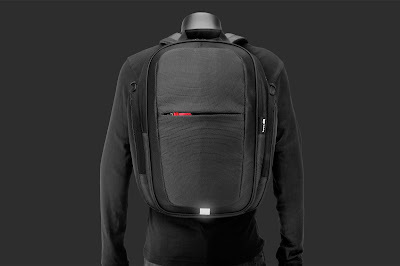 We really like the Booq Taipan Shock Backpack and found it to be a lot more comfortable than the Boa Shift, especially when worn while on a bike. 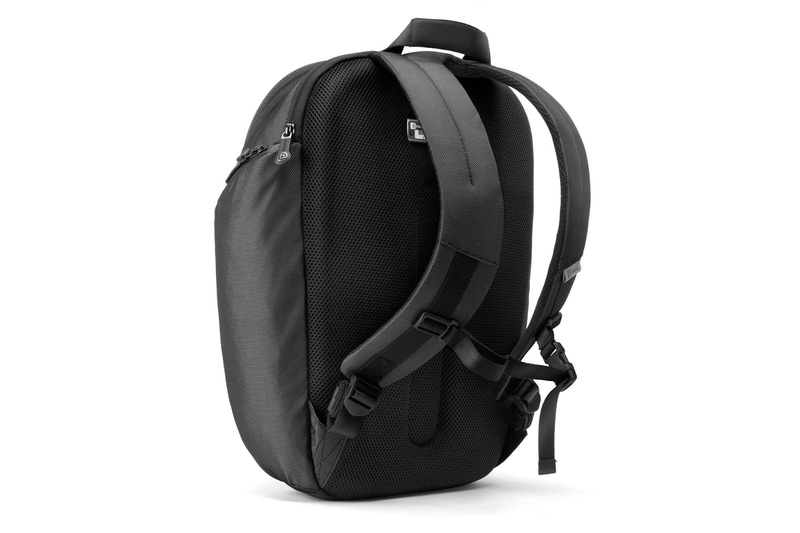 As a day-to-day commuting bag it is perfect, as it is tight and compact while retaining a decently sized inner capacity, and if you're jetting off this month for some well-deserved R&R, this would make a great day bag.